The G Funk was yo-yo player Gentry Stein's second signature model. 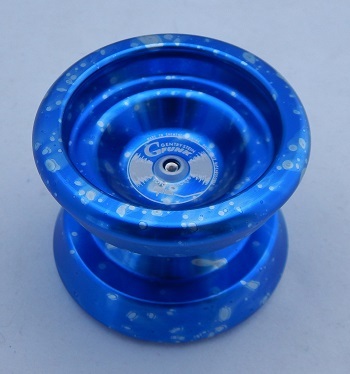 The G Funk is essentially a YoYoFactory Super G model downsized to a mini. This model is nearly identical to the "Yuuksta", also made by YoYoFactory. Use a size C ball bearing axle, and slim (19mm) response pads.